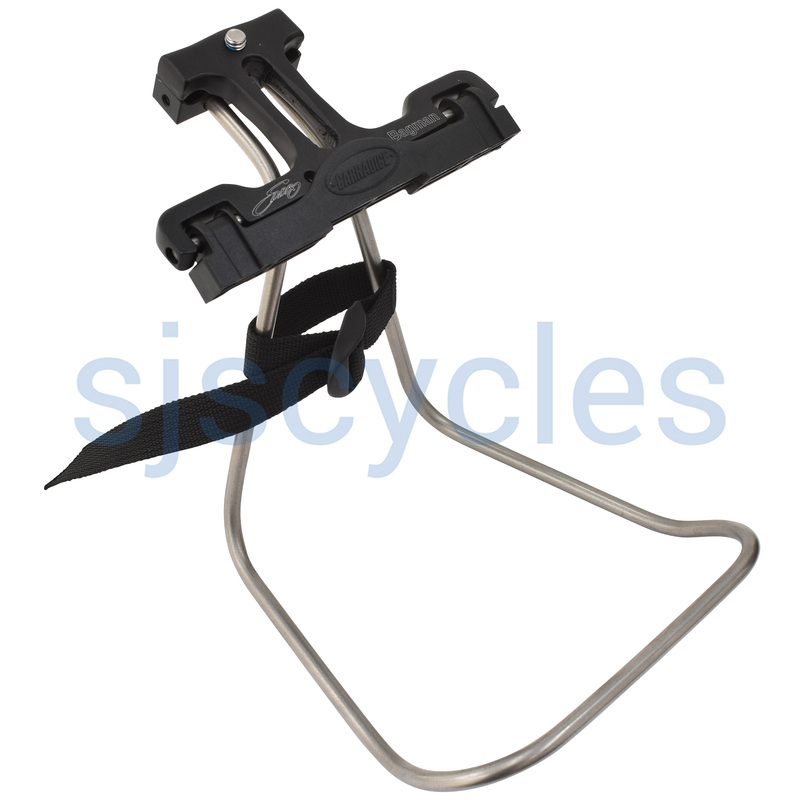 Replaced a beam rack with a saddlebag and this bag support - really an excellent piece of kit. Couldn't be without out it but too much $$$! ConsHeavy, obstructive, overpriced, no threadlock on the little pins. The Carradice bags are amazing but I couldn't do with a fiddly buckle under the saddle if I needed to get it off. I also don't want it swinging round a £80 seat post. That said, this is an must. But why SO expensive compared with the bags! There seem to be two versions of the q/r clamp, which one is this? Looking at your product photos for the q/r sport, q/r expedition, and the q/r clamp sold separately, there seem to be two versions, the one for the latter two looking like a newer and more robust version (it's the one that says "patented system" in bright lettering). Does the sport now come with the newer version as in the photo for the q/r expedition or q/r clamp alone, or with the version shown in the picture on this page (q/r sport)? The Expedition is slightly larger than the sport and in turn is slightly heavier.